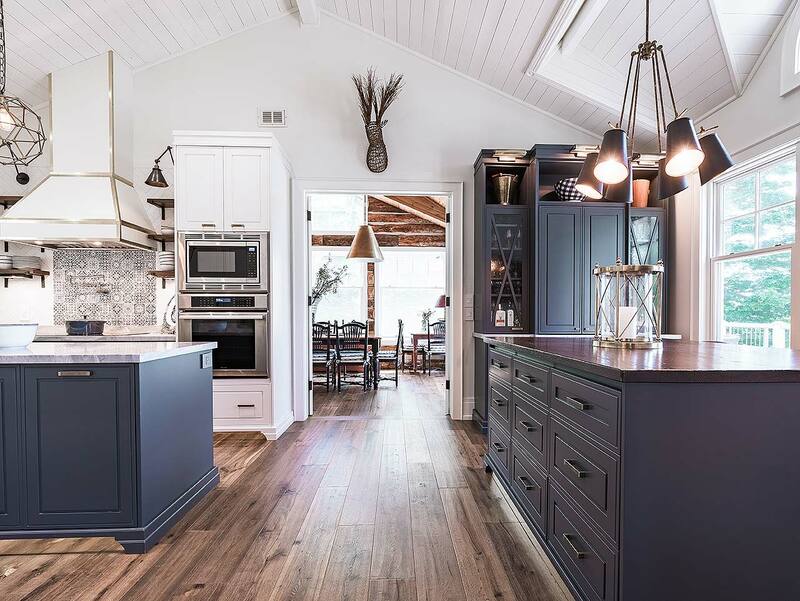 Living space : 3,400 sq.ft. 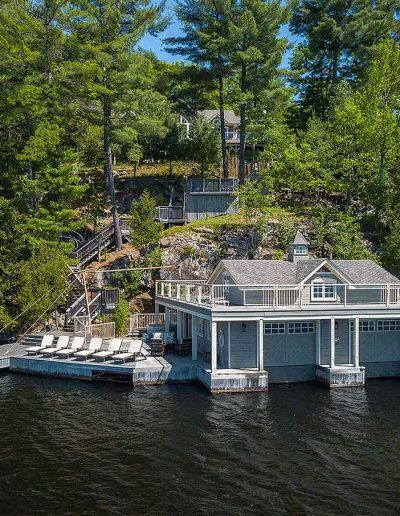 This sprawling lakefront home is a perfect fit for the rugged Lake of Bays shoreline—literally. 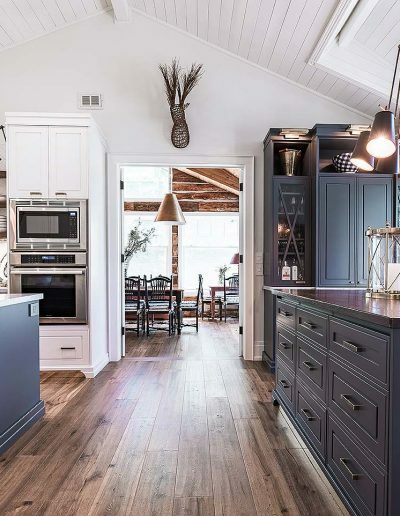 The boathouse and cottage were custom designed and built to nestle into the property’s stunning rocky outcrops and complement the 1.7 acres of century-old pines and impressive views over the lake. 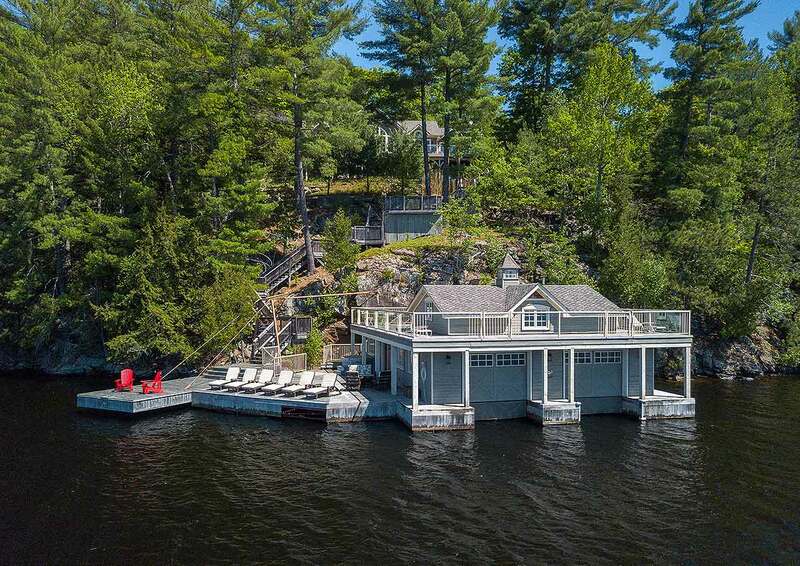 At the water’s edge, along 390 feet of shoreline, this landmark boathouse and expansive dock is cantilevered out from the rocky face of the Canadian Shield. 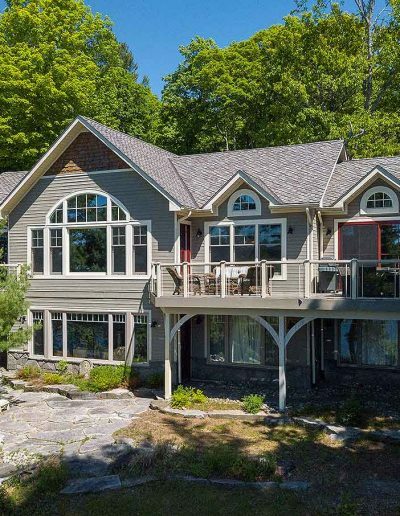 As you wind your way up through the trees to this welcoming country home, you are treated to stunning westerly vistas and sunsets of this historic Muskoka lake. 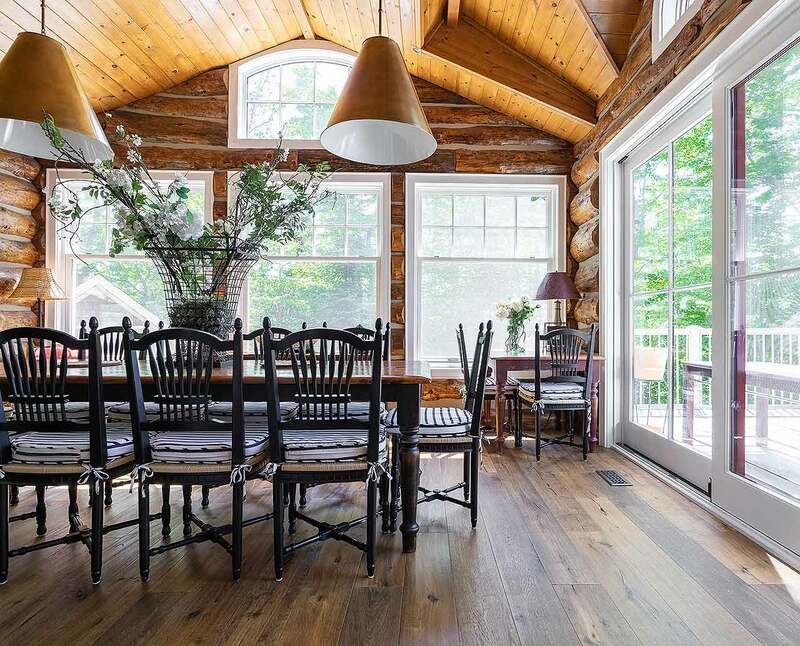 Entering the 4-bed, 4-bath cottage, you’re struck by the impeccable design that finds the perfect balance between raw natural beauty, with the log-lined Muskoka room and river rock fireplace, and modern eclectic with custom millwork, luxurious baths and a one-of-a-kind gourmet kitchen. 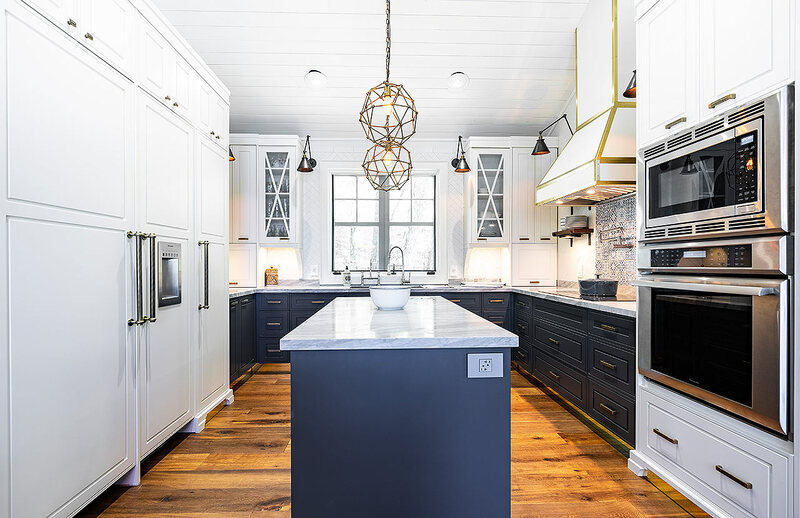 Prominently featured in the August 2017 issue of House & Home magazine, this property is definitely a study in contrast: clean, white lines inside are set against the most vibrant reds, purples and oranges of the sunset; brass accents and the Mediterranean-inspired tile backsplash in the kitchen make way for incredible forest views through the large windows beyond. You feel at home in the most private forest escape, while being simultaneously immersed in culture and design excellence. The master bedroom wing has its own private balcony, steam shower ensuite and laundry room. 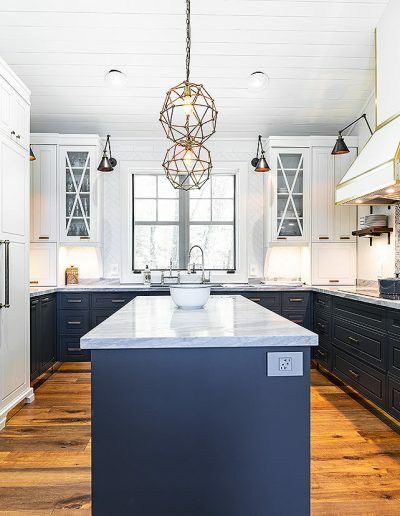 A second laundry room is located on the lower level, along with 3 bedrooms, 3 baths and a lounge-style recreation room. 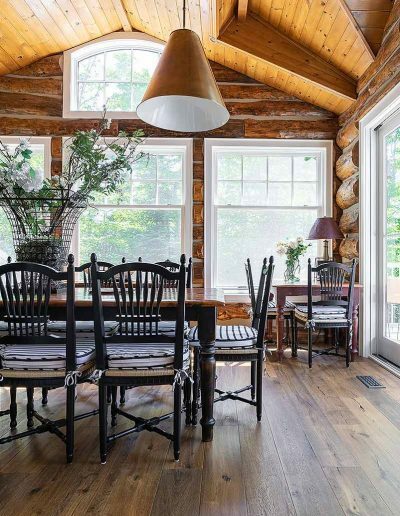 To top it off, a renovated bunkie makes a welcoming respite for extra guests. 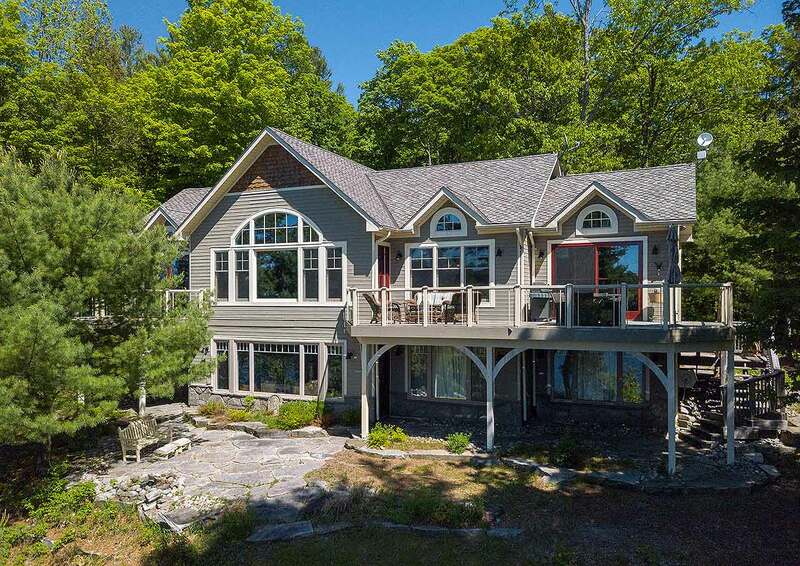 This incredible property is perched overlooking the rugged landscape and beautiful Lake of Bays. 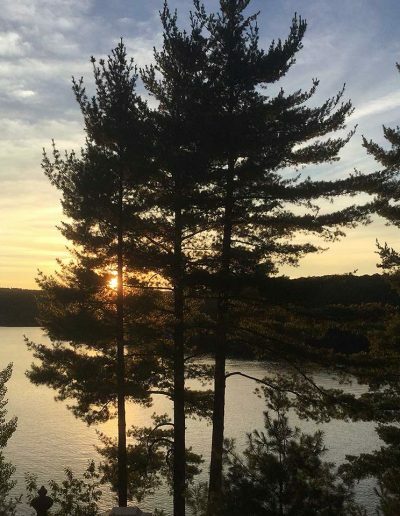 You are rewarded with a private getaway of refined luxury and natural beauty unlike any other. Enjoy world class golf on historic Bigwin Island. Prepare to be wowed by this Doug Carrick designed course. Experience the boat ride to the island and the unforgettable scenery. The vistas from the 6th and 18th elevated tee boxes are considered among the most stunning in North America. The renovated Club House has retained its character from the once famous Bigwin Inn, the favourite haunt of many Hollywood stars, writers and musicians over the years. 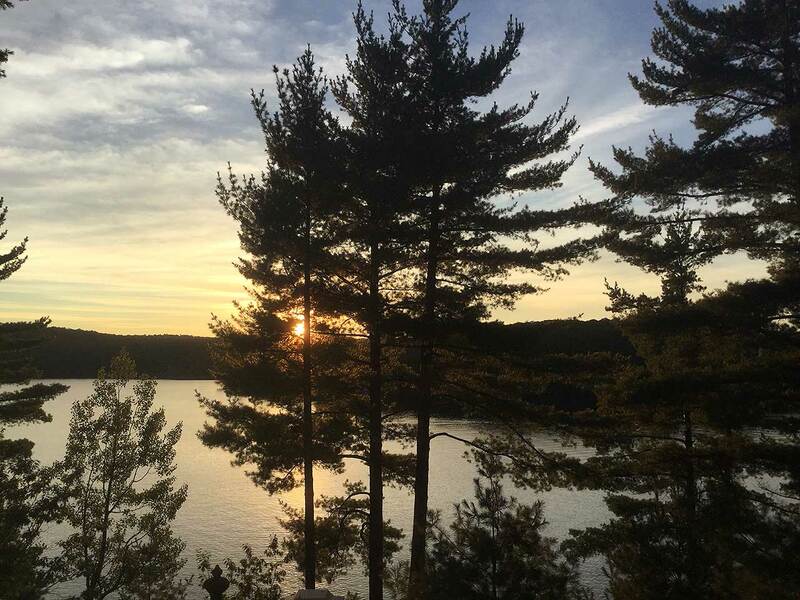 This incredible property overlooking the rugged landscape and beautiful Lake of Bays offers a unique private getaway of refined luxury and natural beauty. 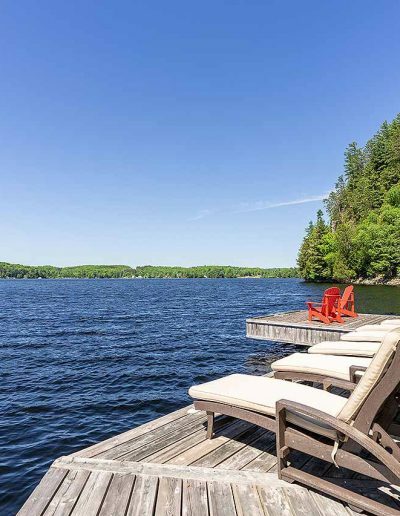 If this sounds like “Your Muskoka” get in touch today to see this beauty for yourself.